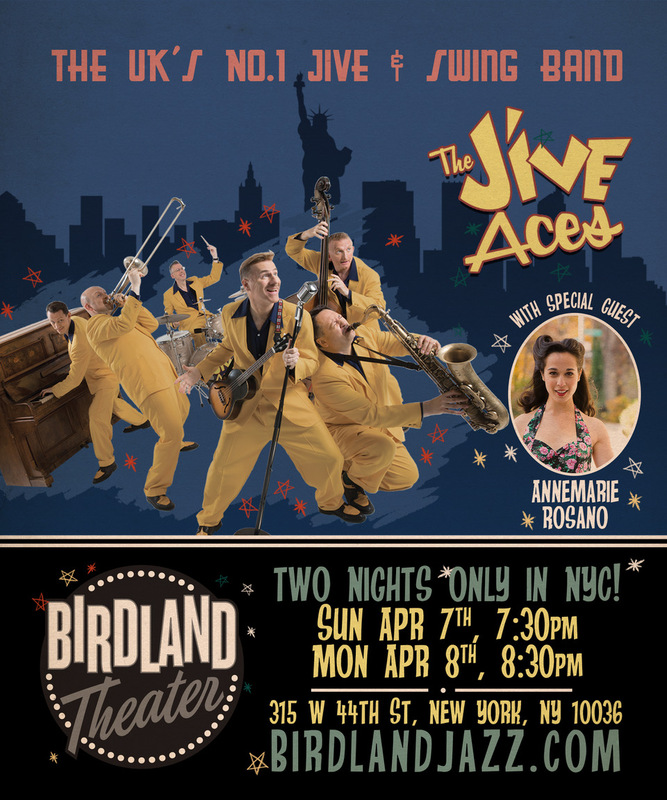 Top UK Swing & Jive Band, The Jive Aces, return to Birdland 7 & 8 April! The Jive Aces are back at the Birdland Jazz Club Theatre by popular demand after their sell-out debut shows at the venue in December. 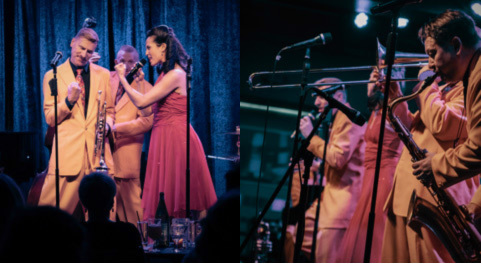 They’ll be swinging’ through New York in April on the 7th (7:30pm) and 8th (8:30pm) accompanied by the golden tonsils of special guest Annemarie Rosano as part of their nationwide Spring tour. With their high-energy show, crazy yellow suits and infectious versions of classic jazz, swing, boogie woogie and rhythm and blues tunes, the show is unforgettable! In 2012 they were semi-finalists on Britain’s Got Talent and also played for Her Majesty The Queen. Last year they also won “Best Band" at the prestigious Boisdale Music Awards presented by British boogie woogie legend Jools Holland. The Jive Aces feel-good viral music video for “Bring Me Sunshine” has racked up over 3 million views on YouTube and has won seven film festival awards.